This 5-star Art Deco Manchester hotel has been in Coronation Street, Real Housewives of Cheshire and Cold Feet to name but a few hit TV series. So what exactly is within Hotel Gotham that makes it one of the hottest locations in town? We take a look at what’s on offer behind that impressive facade. Hotel Gotham spreads over 7 floors and features 60 rooms and 5 suites. Each room is as decadent as the next and includes the exacting attention to detail of a 5-star hotel. From £150 a night, clever room design helps make each stay a sensory experience. Extravagantly opulent linen, top quality room fittings, divine finishes and immaculate detailing are part of everyday for this hotel. Prestigious awards have poured in since the opening, including featuring on Conde Nast Traveller’s 2016 Hot List and winning ‘Outstanding New Hotel’ at the Independent Hotel Show Awards in 2015. The hotel’s Honey Restaurant serves up modern British cuisine, which includes a delicious afternoon tea offering. Awarded the coveted two AA Rosette award, the restaurant maintains the top standard set throughout the rest of the hotel. Their afternoon tea includes a selection of specialty PMD teas and tisanes or quality single-estate coffees. To eat, a selection of hand-cut finger sandwiches with traditional fillings, followed by sweet traditional scones with seasonal jam and clotted cream, and of course a range of mouth-watering cakes and sweets (all home-made on the day). The experience subtly marries sophistication with the tastiest of experiences for an afternoon to remember. The hotel’s private members bar is an exclusive retreat for VIP’s. Club Brass is located on the 7th floor of the hotel and boasts stunning panoramic views of the city. With membership costing £750 a year and limited to 250 members, famous faces such as Liam Gallagher and The Judges from the Voice and X Factor have all been spotted there. At this year’s 19th annual GQ awards Club Brass memberships were provided in the gift bags, guaranteeing recipients inclusion in this elite members club. At Gotham, the devil really is in the detail when it comes to the setting, staff and finishing touches. Staff are called The Cast, a nice touch to highlight the sense of theatre a stay at the hotel entails. Cast members include Lord Cecil Salford who can be found in the bar and Bellboy Barry in the concierge. The hotel also boasts a vintage Austin Steven car called Gerald, usually stationed outside the hotel – very in keeping with the Gotham aesthetic. 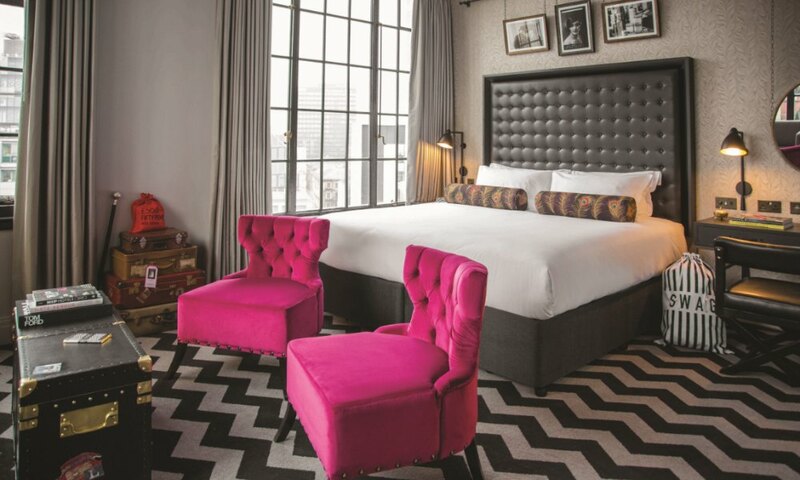 We like your style Hotel Gotham! Thinking about staying? 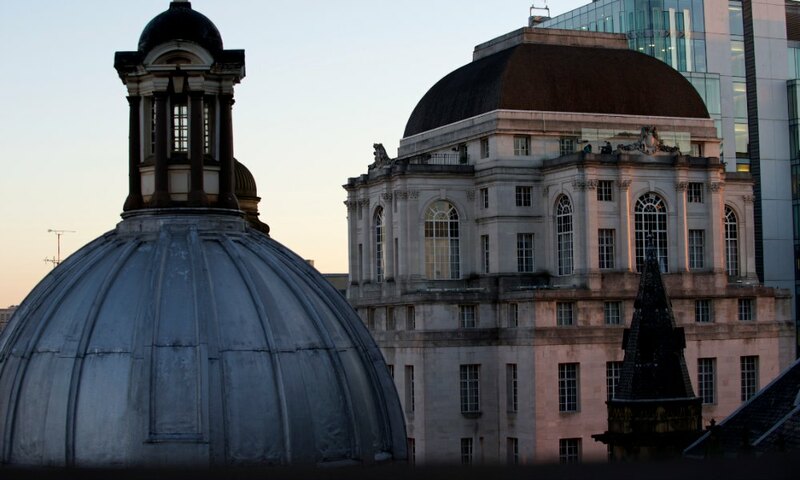 Why not check out our previous blog on the 7 reasons to visit Manchester and make the most of your stay! Images and Video: Bespoke Hotels via Youtube.